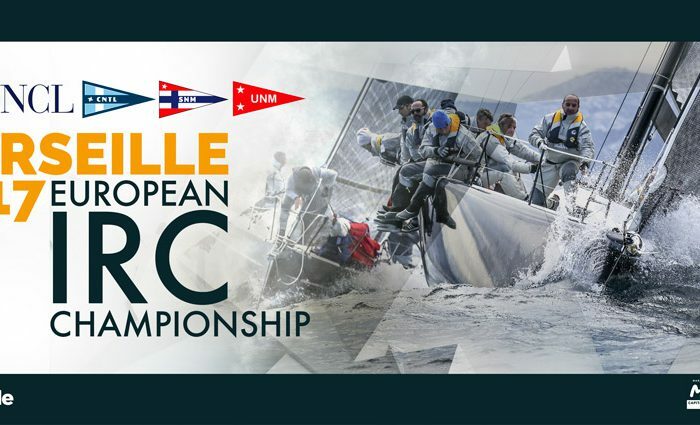 IRC European Elite to be announced in Marseille! With approaching 40 entries (from Germany, England, Italy, Spain, Luxembourg, Turkey and France) and more than twice as many expected in the next two months, the Marseille 2017 IRC European Championship promises to be a great event. Nicolas Hénard, President of the Fédération Française de Voile, when in Marseille during the last SNIM, urged the last undecided crews not to hesitate to enter the race! 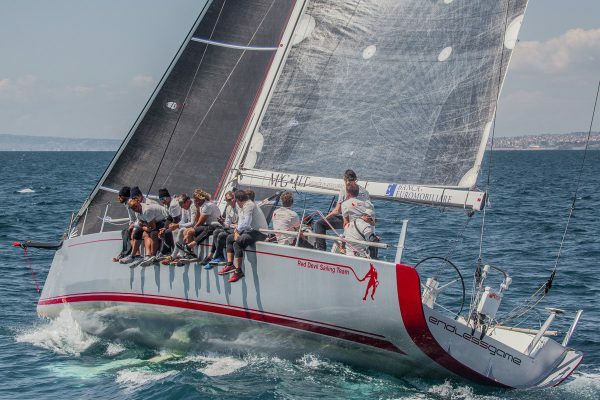 IRC0 – a Cookson 50 to fight with the TP52s? “It is good to see that the best IRC European sailing talents are heading toward Marseille”, says Jean-Philippe Cau, President of the Union Nationale pour la Course au Large (UNCL), joint organisers of the regatta with the Cercle Nautique et Touristique du Lacydon (CNTL), Société Nautique de Marseille (SNM) and Union Nautique Marseillaise (UNM). Two months before the event, the entry list shows a variety of designs, including four TP52s already registered. The German crew of Phoenix will face the Southern French teams of Arobas², Alizée and especially Team Vision Future, ‘king’ of the French Mediterranean coast and undeniable winner of the last SNIM. Team Vision Future is a favourite in IRC0. “We have sailed together for 7 years, and this is our strength” says owner Jean-Jacques Chaubard. “Our crew is experienced and has already sailed in Marseille,” explains Andrea Falcon, communication manager of the project Endless Game. It includes Pierluigi Fornelli, former bronze medalist in the Soling World Championship, Davide Inocenti who sailed aboard Il Moro di Venezia on the America’s Cup, and Luis Doreste, double Olympic Champion for Spain 470 (1984) and Flying Dutchman (1992). “We know that the weather is special in Marseille. Light airs or heavy weather, we must be ready to sail with the best, whatever the conditions. Our objective? To do barely better than those who finish second,” Andrea jokes. The boat is new. “Fast, funny and competitive” according to a crew who has sailed against them for many years, the “Red Devils Sailing Team. A boat to follow closely, especially in its confrontation with the TP52s. IRC4 – Will Half-Tonners rule the class? The Half-Tonner Sibelius, usually sailing in the Atlantic, will have aboard the president of the UNCL, Jean-Philippe Cau. Sibelius is one of ten competitors in the half tonner category, and could interfere in the fight for the title. Former IOR racers, first built in the 1970’s, the half-tonner class has been a reference boat since it was supported during the solo race Aurore, then Le Figaro. The last of the half tonners were built in the early 1990s. Their current owners “adore” titillating their boats and racing against modern craft. It is a safe bet that we will have more half tonner entries by early July. The Marseille 2017 IRC European Championship will be the opportunity to gather together as many competitive boats as possible, a guarantee of higher stakes and a more challenging game on the water. In the context of The Hague 2018 Offshore Sailing World Championship, organized in ORCi and IRC, UNCL will offer on request an IRC certificate to boats holding an ORCi 2017 certificate. “We encourage boats that normally race ORCi to join in and race in this IRC event,“ the President of the UNCL says. To ensure the best organization of the event ashore and afloat the deadline for entries is June 28th, 2017, with entry fees increasing after May 31st. The four days of the competition will consist of tactical and coastal courses, including a long race. The opening ceremony will take place at the Union Nautique Marseillaise (UNM) on Wednesday 5 July, with the awards ceremony will be held at the Cercle Nautique et Touristique du Lacydon (CNTL) on Sunday 9 July. The boats must be docked at the Société Nautique de Marseille (SNM), by 0900 on July 5, and that day will be devoted to registration and equipment inspection. The boats will be moored and grouped every day on the pontoons of the SNM (Quai de Rive-Neuve).